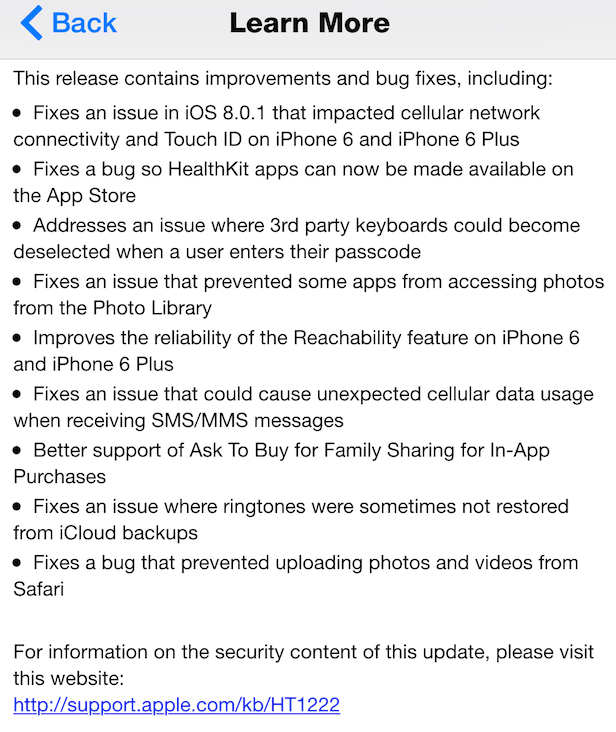 The third and latest version of iOS 8.0.2 (Build: 12A405) Firmware Update is now available from Apple in short span of time, the newest iOS 8.0.2 released has supersedes its previous iOS 8.0.1, which was a little buggy update. We are sharing the Official Direct Download Links of iOS 8.0.2 Firmware's IPSW for iPhone 6, iPhone 6 Plus, iPhone 5S, iPhone 5C, iPhone 5, iPhone 4S, iPod Touch 5G, iPad Air 5G, iPad 4G, iPad Mini, iPad Mini 2, iPad 3G, iPad 2G and Apple TV 3G devices. 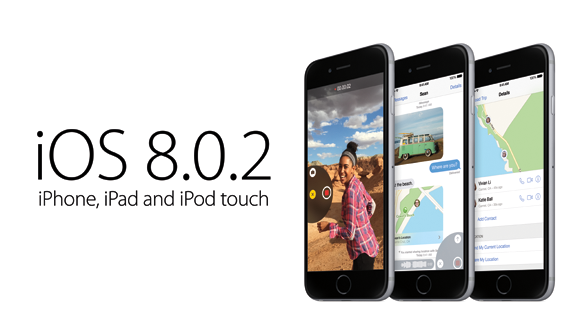 How to Jailbreak, Download & Install iOS 8.0.2 Manually? 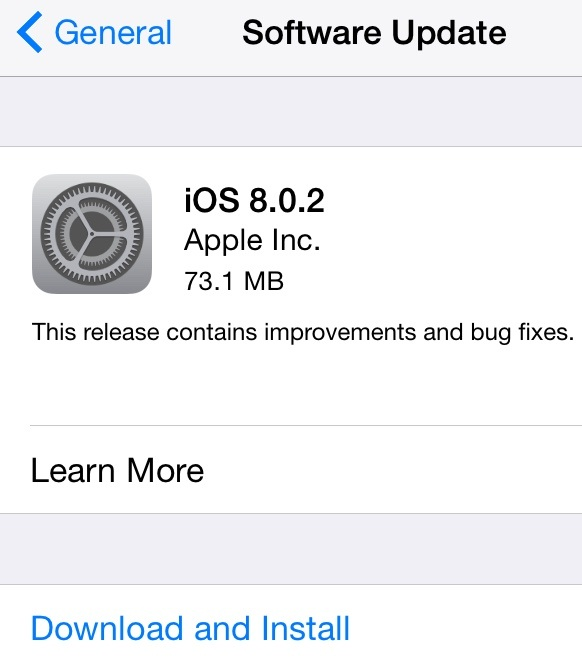 Apple iDevice users can upgrade / update to iOS 8.0.2 Firmware via Over-the-Air (OTA) wireless process automatically by navigating to; Settings > General > Software Update under settings tab. If any iOS users don’t have an internet connection for iOS 8.0.2 OTA process, then you can manually download, install and activate iOS 8.0.2 (12A405) without Apple UDID and iOS Developer account via iTunes. You can officially Download iOS 8.0.2 Firmware IPSW File for iPad Air 5G, iPad 4G, iPad Mini, iPad Mini 2, iPad 3G, iPad 2G, iPod Touch 5G, iPhone 6, iPhone 6 Plus, iPhone 5S, iPhone 5C, iPhone 5, iPhone 4S and Apple TV 3G via Direct Links. Currently, No Jailbreak for iOS 8.0.2 Firmware is available from any iOS 8 Jailbreakers!